The bungalow tent can be booked from Monday to Monday, the tunnel tent from Saturday to Saturday. The tent stands on a spacious spot of at least 100m² and the tent is approximately 27 square meters. There are 3 sleeping cabins in the tent, a living room with cooking area and a shade cloth in front of the tent. Near the tent there are two single stents for the 5th and 6th person. - 6x spoons, teaspoons, small forks, plastic cups, breakfast plates, dinner plates, soup bowls, plastic bowls, beer glasses, wine glasses, drinking glasses (12) and children's cutlery + plates (2). - pans (3), saucepan, frying pan, serving spoons (2), potholders (2), salad bowl, tray, coasters (2), bread knife, can opener, scissors, peelers (2), corkscrew, spatulas (2), soup ladle, whisk , salad servers, garlic press, colander, cutting board, sink, drainer, cutlery tray, cheese slicer, measuring cup, peeler, lemonade can, thermos and ashtray. - Kettle, coffee holder, refrigerator, two-burner electric stove and hanging lamp. - bucket, dustpan and tin, broom, trash can, drying rack and kite maker. 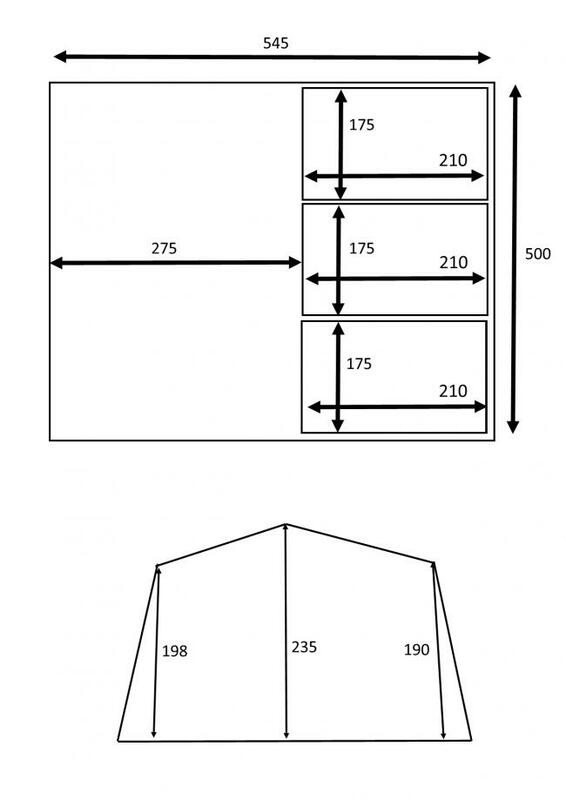 - Storage cabinet and kitchen to the inventory in the holds. Garbage bags and coffee filters are not available in the rental tent. Smoking inside the tent is forbidden. 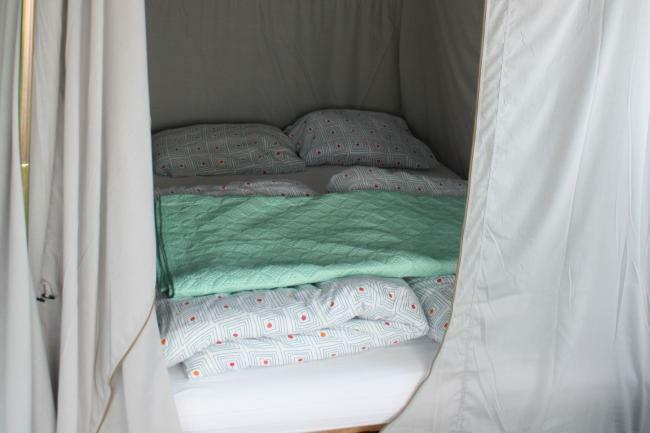 You can bring your own sheets, but you can also rent a sheet package with us.